Battlestar Galactic receives the galactic treatment from Eaglemoss! 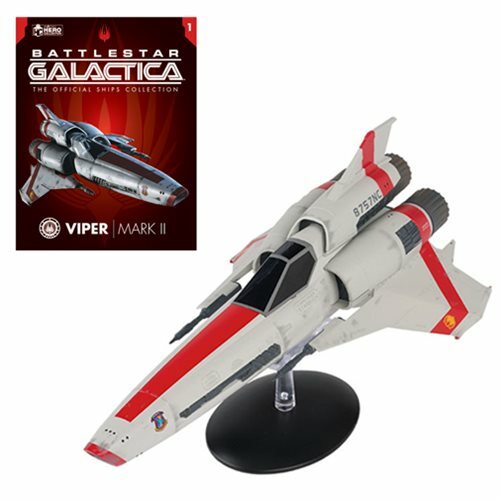 The Battlestar Galactica Ships Viper MK II with Collector Magazine #1 is the first model in the series. Eaglemoss has worked closely with members of the modern Galactica visual effects team to ensure that the models are as accurate as possible. The accompanying magazines profiles each ship and features interviews with the show's creators, including Ronald D. Moore. Ages 14 and up.